Located on Treasure Island's intracostal waterway with easy access to Treasure Island beach known for warm blue green waters and sugar white beaches! Lounge by our beautiful waterfront pool and hot tub, or fish off the dock. This spacious 2 bedroom, 2 bath condo will impress you as soon as you walk in to beautiful polished tile, granite countertops in both kitchen and bathrooms, stainless steel appliances, all new furnishings and in unit laundry will have your enjoying your vacation stay. The balcony offers partial beach view for your enjoyment. The kitchen is fully equipped for all your eating-in meals. Linens/bath towels are provided. The Palms has charcoal grills and a dock for fishing. Come and relax, soak up the sun, walk to the local beach shops, search for shells, see the dolphins and bring back memories! 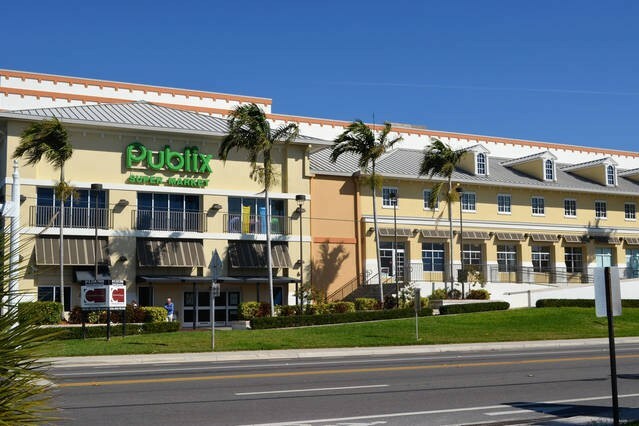 Perfect location as this complex is very convenient to everything: brand-new Publix grocery store right next door. 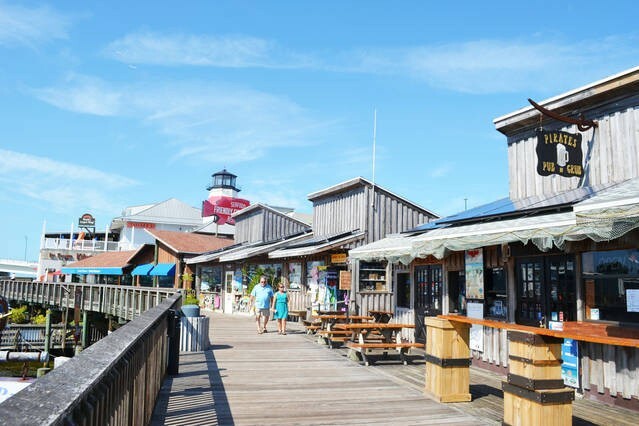 Just a few steps away you will find a bunch of local shops, restaurants such as Ricky T's, Foxy's, Britt's Pizza, Sloppy Joes, bars and much more. No need to drive anywhere. If you want to explore further-beautiful downtown St. Petersburg has a lot to offer: shopping, dining, entertainment, museums and more, all just 10 minutes away. 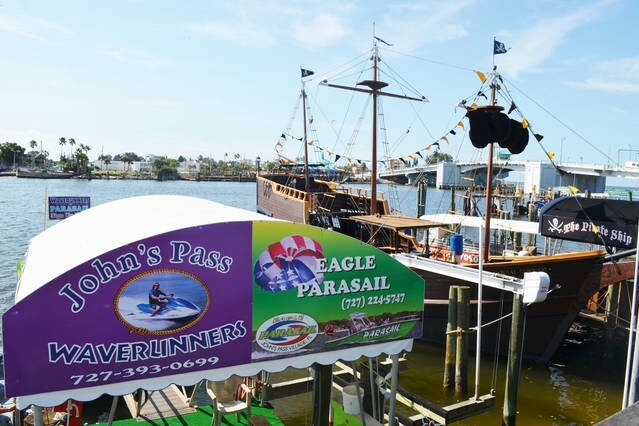 And don't forget to visit John's Pass, where you can go on a cruise, see the dolphins, cruise with pirates, rent boats and jet-skis, shop and dine-all only 2 miles away! The Palms will have you leaving here satisfied, with stories to share and lasting memories. Please contact me with information regarding Palms of Treasure Island 105. I was impressed by the room décor and amenities, very clean and comfortable. We had a daily routine of walking the beaches, cooling off in the pool and relaxing in the hot tub. Nice dock for fishing. Perfect weekend get away! Good beach location too! Treasure Island has the best beaches. "Loved that it is easy beach accessible. Lots of restaurants near by. Love that there is Publix next door. This was the biggest perk...walking to the grocery store. It is a very nice condo. Pool was clean. We would stay there again!" "The price was great the accommodations were everything that was promised. Sandcastle realty made the check in smooth I would definitely recommend and use them again." "What an amazing location! Directly across the street from the beach and just a short walk to the public beach access! There is a Publix right next door and it was great for getting snacks and drinks before heading to the beach. The condo was nicely furnished and had fully stocked kitchen. The location is close to great restaurants, easily walkable!" "Great location near beach access. Large condo in good condition. Publix next door, Walgreens one block away, restaurants within walking distance. Overall, would stay here again. Pictures are representative of unit. Very Happy overall." My husband and I spent the month of February at The Palms on Treasure Island. We had a condo that was perfect for us. 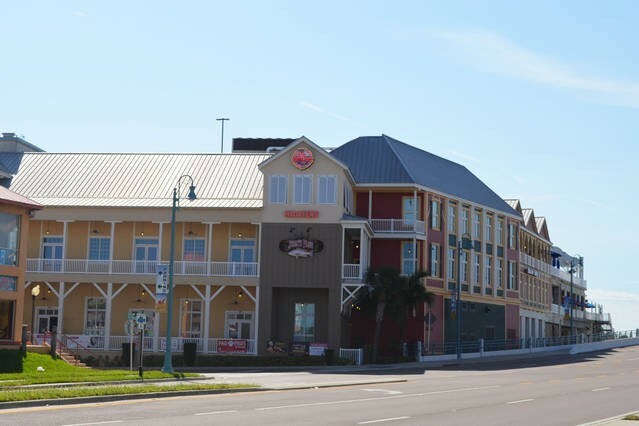 The location was convenient to lots of restaurants, shops and the beach. The Publix was right on our corner. The pool area was so nice, and we met a lot of great people. The only thing I would like to see change is their solar heated pool. Most days the water was in the low to mid 70's. Was very close to shops, bars, restaurants, grocery store, public transit, etc.... Condo was well furnished with kitchen supplies and some beach supplies. This is our second visit to The Palms and we love it here. The fishing dock is an added bonus for those of you that like to fish. My only complaint would be that it is advertised with a heated pool. this was my second visit and I found out that the pool is heated with solar panels from the roof. Rented 2 bdrm condo from Sandcastle reality in Treasure Island. The unit 105 had been recently updated and everything was brand new. Since it was on the first floor above the garage, and condo is across street from beach, had a very limited view of the gulf, but the deck was huge with all new patio furniture. Beach supplies and fishing poles were also in the unit. Very nice pool on the intercostal and Publix grocery store was right next door which was handy since we had no car. Since this was a privately owned unit, we did not have to deal with the desk clerk who was less than friendly.There was only one small elevator which was an issue a few times. Elevator opened up to an all concrete, unwelcoming hallway so we were a little nervous but were pleasantly suprised to walk into beautiful, spacious, nicely furnished condo. Review homeaway #16000664 "AFFORDABLE $85/NIGHT THRU DECEMBER"
We were unable to get a beach front property for reasonable price so decided to rent this unit based on it's location. The property was as described. Newly furnished, clean roomy and had a nicely stocked kitchen and laundry set up. Had gear for fishing, beach or pool activities which was nice. Right next door to Publix for groceries which was handy since we did not have a car. Had a very limited view of beach since unit was on first floor above parking garage, but had a very big, comfortable deck and could see the sunset. Beach access from this unit was right across the street. Pool was very nice and right on the intercoastal waterway. Kids fished from dock and we were able to access son's jet ski from there for an afternoon. We took a slow walk to John's Pass via the beach and took Uber back ($5) but you could use the free shuttle as an option. The people at Sandcastle were very friendly, accommodating and we were able to check in earlier than planned. Would definatly recommend this property and would return again. Review #21393146 "THE PALMS!! HEATED POOL, BEACH, SHOPS, RESTAURANTS..ALL WALKING DISTANCE; SLEEPS 6~"
Loved our 3 weeks here! We loved the property and location! We didn't really use our rental car. There are many things within walking distance and easy access to a bus. The beach is absolutely stunning and right across the street. Just a couple of very minor things with unit 105. We noticed after walking around the first day our feet were black. We bought a mop and washed the tile floors ourselves. The floors could have been cleaner when we arrived but not a huge deal. We let the owners know they have a leak around their shower enclosure in the guest bath. After maintenance came, it still leaked. The unit was very nice otherwise and we would stay it in again. Sandcastle Realty (particularly Cheryl) were absolutely wonderful! I can't say enough about how helpful and patient they are. It made it so easy for check in and check out and any questions we had during our stay. It's a beautiful spot and very nice accommodations! Thank you for letting us stay. We will definitely be back!